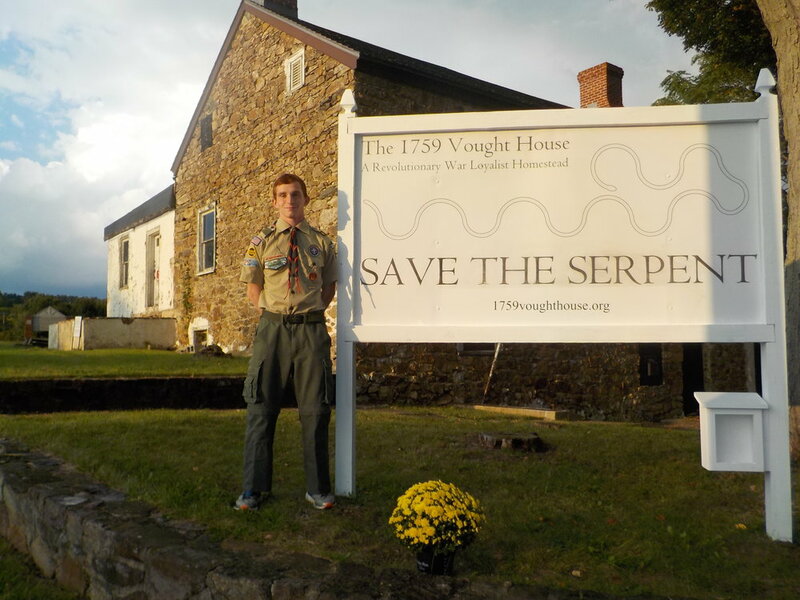 A Revolutionary War Loyalist Homestead is the award-winning non-profit which owns the Vought House at the entrance to the Clinton Township Middle School and 2.48 acres of land around the house, between Grayrock Road and the stream, and from the school driveway to Rte 31. We also have use of 15 parking spaces at the school. We are restoring the house to its period of significance, as built by Christopher Vought, its original appearance during the American Revolution. Our mission is to preserve and educate the public on this farmstead's rare material culture and compelling historic narrative. Recent improvements, completed as part of an Eagle Scout project. Find out about our organization, mission, our methods, and our progress.